Ever since the 2009 reboot of Friday the 13th, fans have been impatiently awaiting the next installment, which has been in the works for many years. There have been rumors that this new project, which will be another reboot, will feature found footage, but that was shot down a few years ago. Paramount currently has a January 13, 2017 release date in place, but since no cast members have been announced, and we don't know when production is starting, it's possible this release may be delayed once again. 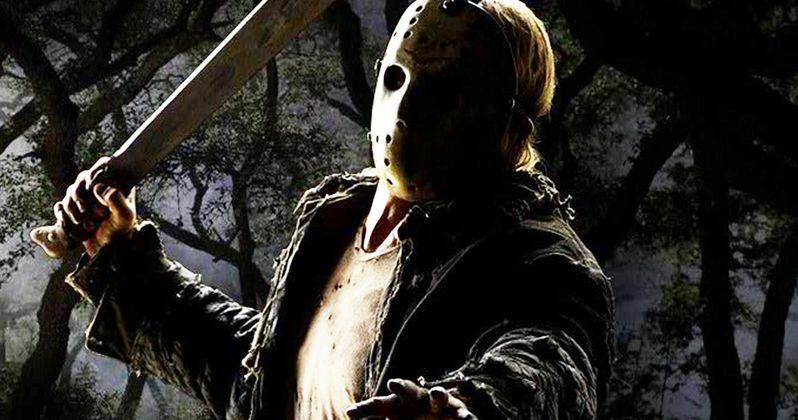 Today we have new details on the project from producer Brad Fuller, who teases this next Friday the 13th movie will feature a fresh origin story for the iconic Jason Voorhees. Back in December, we reported that the project lost director David Bruckner, who had long been attached, while gaining new screenwriter Aaron Guzikowski (Prisoners). The last we heard was in March, when producer Andrew Form claimed this new version was a "period thriller," which raised speculation that it would be set in the 1980s, when the franchise first began. During a new interview with The Reel Word, Andrew Form's producing partner Brad Fuller explained that they're essentially starting from scratch. "Aaron's story has great characters...You kind of have to understand Jason Voorhees, so we go back and we kind of started over and work our way forward. Origin-ish, but it's an origin that no one has seen before. Obviously Pamela's there, but it's a little bit different from what you've seen before." Brad Fuller also re-confirmed that they have scrapped plans to use found footage for this movie, although he wouldn't unveil any other story details. It isn't known if Aaron Guzikowski's script has been finished, or if the producers have found a director yet to replace David Bruckner. Still, the reboot seems very much alive. Although we don't know if it will be able to hit its January 13, 2017 release date. The original Friday the 13th arrived in 1980, with many of the sequels arriving throughout the decade. Friday the 13th Part VIII: Jason Takes Manhattan was the final 80s set movie. The ninth movie, Jason Goes To Hell: The Final Friday, was released in 1993. It was followed by Jason X in 2002 and Freddy vs. Jason the following year in 2003. The first remake arrived in 2009. There was a Friday the 13th TV show being set up at The CW, but that is reporetdly dead. We'll be sure to keep you posted with more on this latest Friday the 13th as soon as more details emerge.